If you thought we lose maximum number of our women to Breast cancer, then you are wrong. 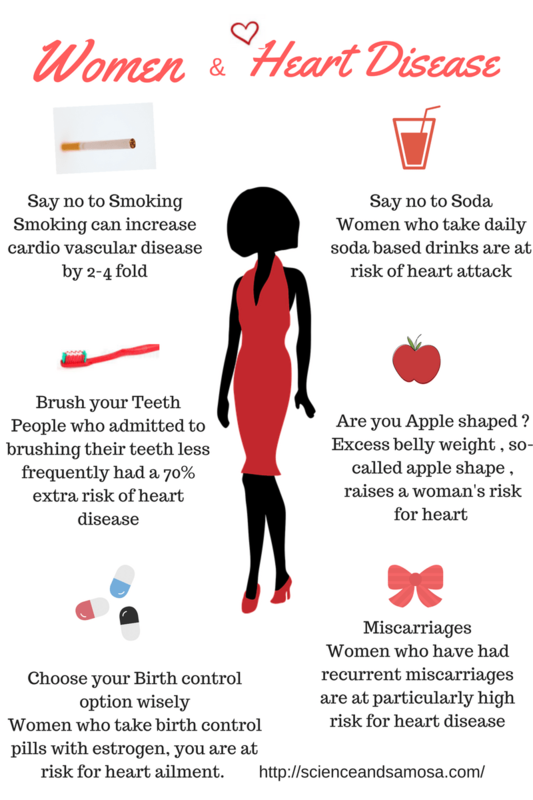 Cardiovascular disease is the No. 1 killer of women. A woman’s lifetime risk of dying from heart disease is eight times greater than that of breast cancer. 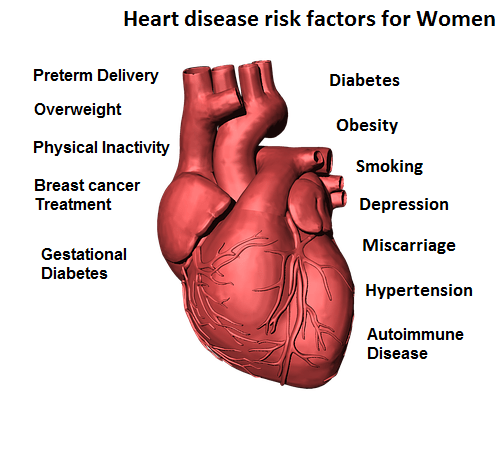 The most worrying factor is that now heart ailments are affecting more women in the reproductive age group, unlike in the past when women got it mostly after menopause. This could be because levels of oestrogen, a hormone which gives extra protection to women’s heart is found in low levels in young women due to changing lifestyle, early onset of diabetes, obesity and related ailments and physical inactivity. Women who take birth control pills with estrogen, you are at risk for heart ailment. Proper nutrition is important particularly to decrease the risk for metabolic syndrome and abdominal obesity. Angioplasty and stenting, commonly used treatments for heart attack, are effective for both men and women. My mum is a heart patient and has gone through an angioplasty a few years ago. It’s terrible when your loved one’s are affected by deadly illnesses. Informative post. Thanks a tonne for sharing! Excellent information, and I agreed, these risk factors are increasing with hectic lifestyle and mental stress. thanks a lot for sharing great points!